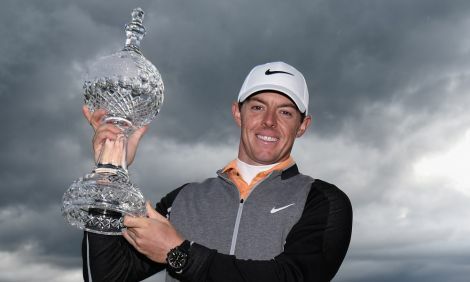 Rory McIlroy Rory wins 2016 Irish Open in style, 1 down to Russell Knox on the 15th he hit his 2nd to the Par-5 16th 272 yd’s over water to the green for 4, then player a magnificent 2nd for eagle on the 18th. Welcome to Go Golfing the one-stop site that helps you find the best golf Ireland has to offer. You will find everything here you want to know on Irish golf courses. We bring you information on the latest golf deals, the very best places stay, eat and drink adjacent to the 415 golf clubs covered on this site. We have traversed the country to research our information in order to give you accurate and up-to-date information on each and every golf club covered. Whether you have been on a winning team, had a hole-in-one, are on committee, been a past captain or president of your club, in short if you have done anything of note in golf you should find yourself on this site. 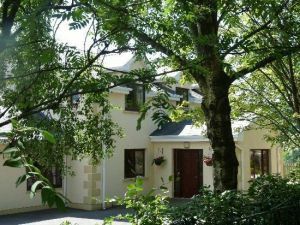 We have discovered the best hotels, self-catering, guesthouses, B&B's, restaurants and pubs on our beautiful island and included them for your information. We would be delighted if you quote "Go Golfing" when visiting their facilities. GoGolfing features over 15,000 Open Events throughout the year in the various golf clubs, to be found under Fixtures the reduced Green Fees are shown under Booking & Fees should you wish to E-mail or call the club go to Club Info this will give you the phone number, e-mail address or bring you onto the club website. To play in these Open Events you must have a golf handicap and you should book approx. 14-days in advance. Do enjoy your year's golf. At any one time in excess of 100 golf clubs who are giving special golf deals making the wonderful game affordable and accessible to you and your friends. Play the game on some of Ireland's most beautiful and challenging golf courses without breaking the bank. Although this site is mainly dedicated to amateur golf, we have also included all the statistics on the professional game from the Ryder Cup to the Irish Open. We have also simplified the "Rules of Golf" The History of Golf, the history of Ladies Golf and much more.